Hardwood floors are a timeless classic. But classic doesn't always mean practical. Hardwood floors don't do well in kitchens or bathrooms. If you love the look of wood flooring there's another choice available: wood-like tile. Yes, tile! Porcelain tile flooring offers beautiful floors with the look of wood and all the benefits of tile. Porcelain tile is too often overlooked in favor of the more traditional ceramic tile floors. Fact is, porcelain tile manufacturers are now able to create far more authentic designs in porcelain tile flooring than ceramic. Porcelain is denser, more porous, and harder than ceramic tile thus offering greater stain and water resistance. Stronger than granite and resistant to staining, porcelain is also easy to clean and offers superior wear resistance. Learn more about porcelain tile. Want wood-like tile? Check out porcelain! All the benefits of tile but in a package that looks a lot like wood floors? It's no wonder porcelain tile is a request we're hearing more and more often in our Indianapolis tile flooring store. 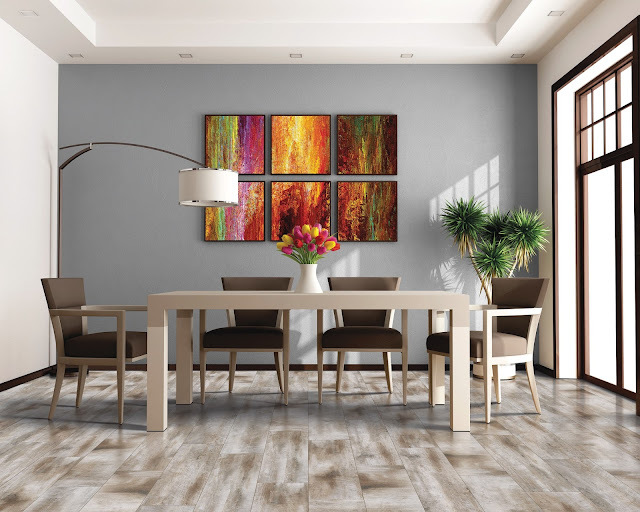 If you're interested in a wood-like floor but not sure about porcelain tile, you should also check out our line of luxury vinyl tile. We even carry some that are fully waterproof. Learn more about resilient, luxury vinyl. Stay current with all the flooring trends with our Indianapolis flooring newsletter.